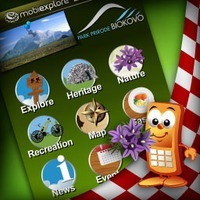 The official mobile guide of Nature Park Biokovo. Practical and user-friendly, the mobile guide of Croatian National park provides useful info at the touch of a button. National Park in a palm of your hand - download it for free and enjoy the trip with mobiEXPLORE guide.